I&apos;d blame the cold winter weather for my coffee obsession, but no one would believe me. I&apos;m serious about coffee. I&apos;m the weirdo that walks around with a travel mug of coffee all hours of the day. 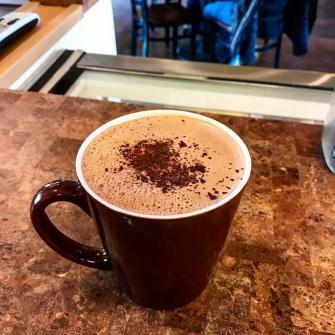 Most people, um...normal people, may not be quite as serious about their coffee, but even a modest coffee drinker can appreciate the list of hot beverage bests in Hendricks County that I -- with some help from those that participated in our Facebook poll -- have put together for you. 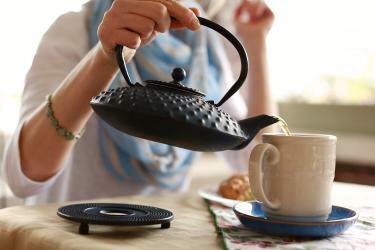 Looking to catch up with friends over coffee? Need a little help getting through a hectic day? We&apos;ve got you covered. Our list will help you warm up during winter&apos;s remainder, but I&apos;m guessing you&apos;ll be enjoying these all through the year. I&apos;ve mentioned my love of the honey bean latte from The Beehive in Danville many times over the last few years, so it shouldn&apos;t be a shock that this deliciousness tops my list. It was also suggested on our Facebook poll. I love all things vanilla, but I&apos;m not a fan of the artificial syrupy kind I often find. This latte is legit with the perfect amount of real vanilla bean. The Beehive&apos;s unique twist on this latte is in the addition of their locally farmed honey. It&apos;s such a flavorful latte with the perfect amount of sweetness. Stop in and try one for yourself soon. The second "vote" for The Beehive on our poll was for their chai tea latte. I gravitate toward all things coffee, but I might have to break from my norm and try one of these next time I&apos;m in. A few other Beehive favorites include my daughter&apos;s top choice the hot caramel latte, which is simple, yet delicious and their Nutella latte. The chai tea latte from Court House Grounds in Danville was also suggested on our poll. Although I&apos;ve never been a big fan of chai tea, I have to assume that if Court House Grounds is serving it, it&apos;s bound to be delicious. My personal go-to&apos;s here are the cappuccino or a latte. They offer a full coffee bar with plenty of variety and flavors to choose from. My kids also love their hot chocolate. If you&apos;re not a fan of chai tea, stop in and ask the awesome staff for a suggestion. You won&apos;t be disappointed. I don&apos;t need our Facebook poll to know that a cold winter day is well spent at this local favorite. With their warm atmosphere and serving Jameson Coffee and OurSpecialTEA products,The Bread Basket Cafe & Bakery in Danville never disappoints. I love hot, brewed tea, and they offer a nice variety of flavors - and there&apos;s something about sipping freshly brewed tea in a cozy cafe. You&apos;ll probably want to go ahead and order a baked good or dessert because theirs are the best around. Another unique suggestion made on our poll was the ginger chai and the masala chai offered at India Bistro in Plainfield. I&apos;ll be honest, when I was thinking of the best hot beverages in Hendricks County, I didn&apos;t look beyond cafes or coffee houses. So, I&apos;m intrigued. I&apos;ll start with the ginger chai. That&apos;s sure to warm me up on a cold winter day. 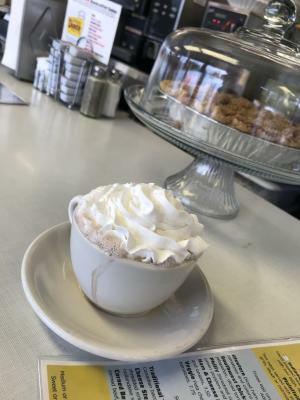 Surprisingly, I never thought to mention the yummy hot chocolate served at the Oasis Diner in Plainfield the first time I wrote this blog. Again, simple, but so good. Add a steamy mug to your breakfast order, or stop in with the kiddos for a nice treat they can warm up with. One place I have yet to experience, but want to get to soon and felt I should add is this new shop in Brownsburg. From what I hear they have a large variety of yummy hot drinks to choose from and a comfy atmosphere to enjoy them in. Click here to read more about this new locale. Thanks to those who shared their favorites with us on our poll. I hope this list provides you with a few new places or beverages to try on the next wintery day, or if you love your coffee like me, frankly anytime.